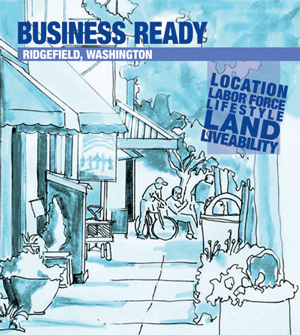 Opening a Business - The City of Ridgefield, Washington | Forward Thinking. Rooted in Tradition. You will need to register with the State of Washington. Department of Revenue Washington State has a great website that provides a step by step guide to assist in deciding what types of licenses and registrations may be required. The City of Ridgefield requires a business license for operating within the City limits. The City of Ridgefield requires a business license for operating within the City limits.Your business must meet the zoning requirements, including the type of use, and require land permits. Review the City’s Municipal Code to determine if your business meets the criteria. Your business must meet the zoning requirements, including the type of use, and require land permits. Review the City’s Municipal Code to determine if your business meets the criteria.You may operate a small business out of your home provided it meets the requirements for home occupations listed in Section 18.205.030(R) of the City’s Municipal Code. A Home Occupation Permit may be required. Please contact our Community Development Department at (360) 887-3908 with questions. You may operate a small business out of your home provided it meets the requirements for home occupations listed in Section 18.205.030(R) of the City’s Municipal Code. A Home Occupation Permit may be required. Please contact our Community Development Department at (360) 887-3908 with questions. Any new construction or renovations will require a building permit. All new businesses will require a Change of Occupancy Permit. Any new construction or renovations will require a building permit. All new businesses will require a Change of Occupancy permit. 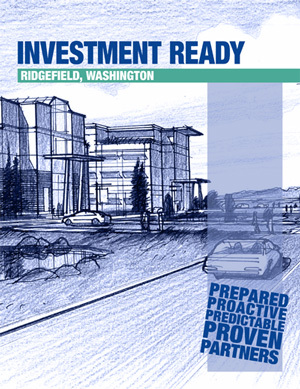 The City of Ridgefield supports and facilitates creation and expansion of businesses, large or small. Please view our New Business Checklist for information. If you have questions, contact City Hall at 360-857-3557. One of the requirements of operating a business within the city limits is to acquire a Ridgefield Business License prior to the operation of the business. Click here for more information. A new generation of street-food lovers is lining up at food trucks and food carts like never before. Like so many other popular trends, they are the latest version of a long-standing part of American and world culture. Learn more about obtaining authority to operate a food truck in Ridgefield. Development within the city must conform to the adopted zoning regulations, and complete the development review permitting process, which includes land use, engineering, and building permit reviews. Click here for more information. The Sign Code, Chapter 18.710 of the Municipal Code, allows temporary and permanent signs to be displayed in the City. The purpose of the Sign Code is to ensure that signs are constructed, erected, and maintained in a safe manner that does not create visual distractions for motorists. It also helps our community maintain a neat, clean, orderly, and attractive appearance. Most signs, temporary or permanent, need a Sign Permit from the City. Door-to-door solicitation is legal in Ridgefield with a Peddler’s, Canvassers and Solicitors License. This license is required under Ordinance No. 505, Ridgefield Municipal Code, Chapter 5.08. Applicants must allow 48 hours after application is received for the purpose of investigating the applicant. See the New Business Checklist to help you along in the process of starting your business.